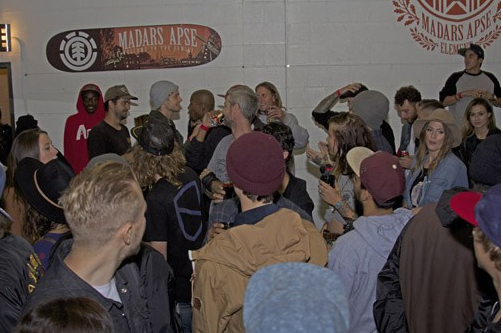 Last night more than 400 skateboarders, fans and friends joined Element to welcome Madars Apse to the pro team in Long Beach. It isn’t everyday that a pro skateboarder comes out of Latvia, as a matter of fact until now there has never been a Latvian pro skateboarder. 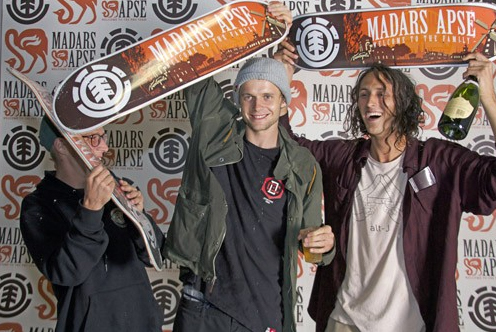 Left to right: Nick Garcia, Madars Apse and Evan Smith. 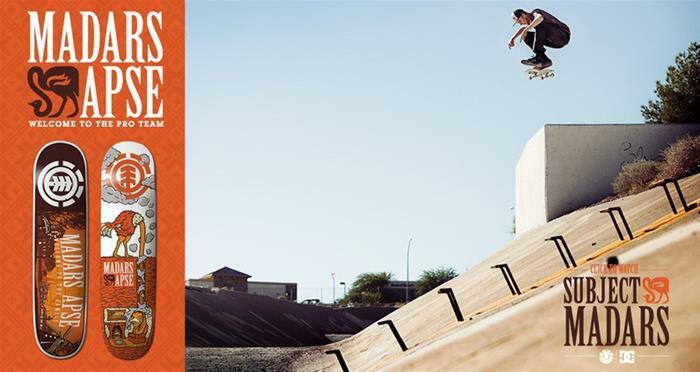 Madars has been skating Element boards for nearly a decade, and earned his spot on the pro team. Evan was so psyched he showered the crowd with champagne and took over as emcee after “Subject Madars” played to recommend playing it again. In support of Madars Apse turning pro, Element teamed up with Independent trucks to produce a limited edition colorway of the classic 139mm Independent truck. This is available exclusively through Branch Distribution. That dart just missed the mark. 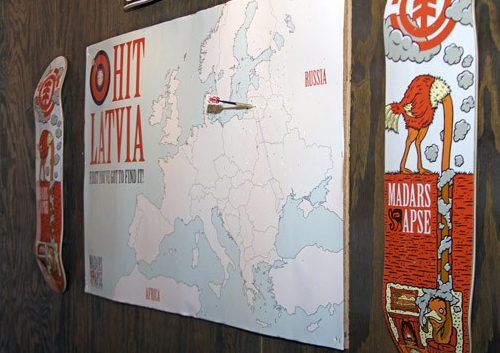 Partygoers that could land a dart on Latvia won a prize, and everyone enjoyed free flowing drinks and music by Roah Summit and Kèpa.